What multiples and metrics to use for different industries? A reader struggles with how to value cyclical industries. First you have to understand the particular industry. How to do that–read the reports and financials of dozens of companies in that industry, then note what is important to value such a business. Take several months. If you are looking at highly-cyclical businesses, then you should read : Skousen-Structure-production.pdf. 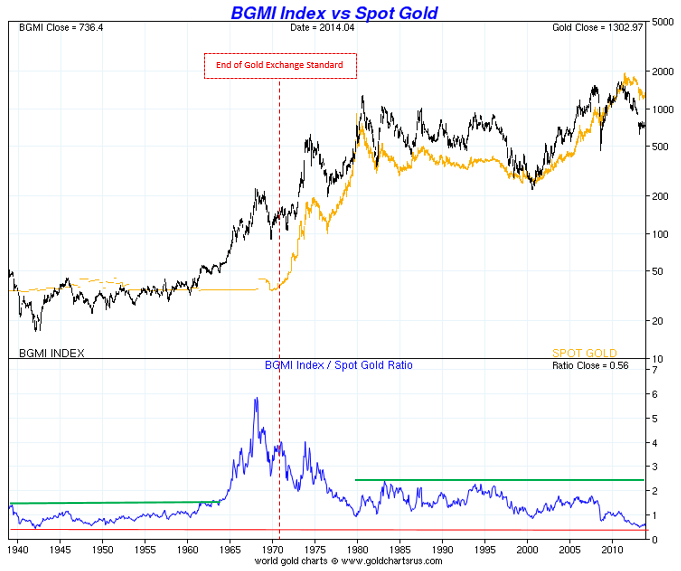 Note how long the cycles are in the gold mining industry. A mine may take a year or two to close or years to open. From discovery of the deposit until extraction may take a decade or more. A gold miner is valued on production, reserves, cost to extract, etc. Now if you have access to a Bloomberg (expensive!) or go to a library and look at Value-Line, Moody’s Manuals, or industry articles of the industry. You can scrub around the Internet, but you have to grind through company reports to get a feel. Obviously, “heavy industries” require analysis of tangible book, replacement value, capital costs, industry capacity and utilization–note what happened in the airline industry when capacity was taken off-line. Go to search box and read my post on CRR, Carbo-ceramics–below TBV and replacement value, for example. If I seem abrupt with your questions, here is the reason why. This entry was posted in Special Situations and tagged miners, skousen, Structure of production, What about Bob?. Bookmark the permalink. Hi John, do you still have a position in CRR. You did a great quick and dirty analysis of it. The main question I have are, why is it that E&P companies continue to use sand if ceramic proppant are really as “conductive” as CRR claims. Do you have access to management of any E&P companies? It would be very insightful if you ask them why they would prefer a specific proppant over another and whether they would be willing to switch if ceramic really proves to be more efficient. Yes, it was near tangible book with no/low debt–that is all I have to know plus they have average but steady ROA over the past 15 years. Good question: Why don’t YOU Ask RPC, inc.(RES) they use sand and proppants. I am simply buying assets when the market feels proppants will be replaced by sand. But note the insider buying. I go on past financial performance, price and tangible assets (in this case) and leave it at that. Secondly, is the time spent worth it? I better be an expert if I am paying $90 plus but not $33. I should be a world expert at $170 per share. However, for all I know CRR will be at $25 in a few months, but this investment is held until the business normalizes–probably five years from now. Or price reaches my estimate of IV.